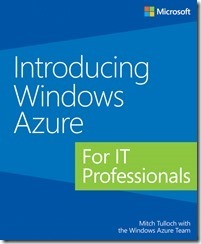 MS Press blog announced new free ebook about Windows Azure. Tagged MS Press, Windows Azure. Bookmark the permalink.